The roles required to design and develop a web solution require a deep skill set and vast experience in the area of visual design, UI/interaction design, front-end development, and back-end development. Any person who can fill one or more of these 4 roles at a professional level is an extremely rare commodity. Pragmatically, you should seek to be, or seek to hire, an expert in one of these roles (i.e. Visual Design, Interaction Design/IA, Front-end Dev, Back-end Dev). Those who claim to operate at an expert level at one or more of these roles are exceptionally rare and more than likely mythical. 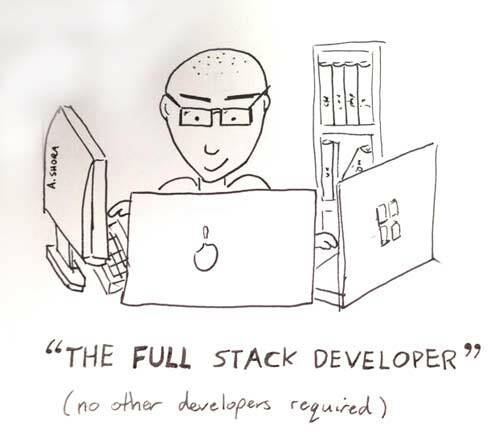 The term "Full-Stack" developer has come to take on several meanings. So many, that not one meaning is clear when the term is used. Just consider the results from the two surveys shown below. 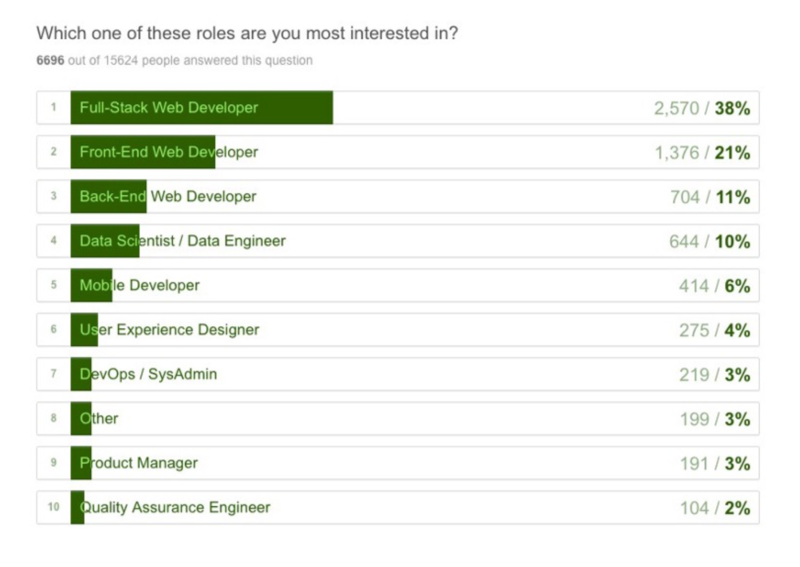 These results would lead one to believe that the majority of developers are full-stack developers. But, in my almost 20 years of experience, this is anything but the case.